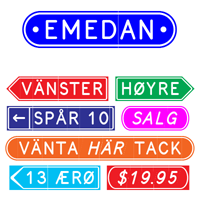 Fonts created by Lars Törnqvist for various purposes. Most of them are sold by MyFonts.com. 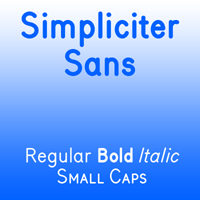 A few fonts are available for free download from this site. All fonts are made in TrueType format for Windows/Mac OS X.
Fonts with standard character set (including accented letters for Western and Central European languages) for headlines, posters, covers, signs, labels etc. 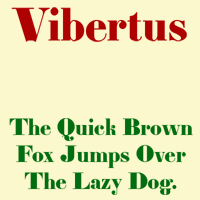 A digital version of a fat face, originally issued by the Didot typefoundry in 1840 as "Gras Vibert". The typeface has extremely heavy capitals and peculiarly shaped lowercase g, k and y which emphasizes the vertical stress. 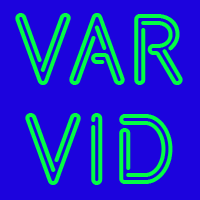 The characters in this font are composed of rounded lines with even thickness, giving an impression of neon tubes. Although the design is completely new, it has its stylistic roots in the modernistic 20th century world of steel-tube chairs and fluorescent lamps. $19.95 per style at MyFonts.com. A rounded sans-serif with even stroke thickness, based on the standard round-pen ink lettering used on technical drawings in the middle of the 20th century. A slightly regularized digital version of a late Baroque Fraktur type, probably from the beginning of the 18th century, issued by the Norstedts type foundry in Stockholm in 56 point size as “Sju petit fraktur nr 2”. A decorative font with descending tails on the capital letters. The design is based on a popular typeface from the 1880s, mainly used for personal names on title-pages, advertisements and stationery. Today, you can use it on invitation cards, menus and concert programs to give a fin-de-siècle impression. An all-capitals reversed sans-serif typeface, designed for easy creation of signs, labels and banners. Regular and italic styles can be combined. Various endpieces are included. 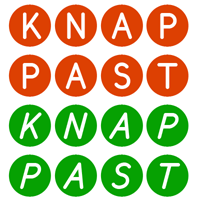 Sans-serif reversed capitals in outlined circles, resembling old-fashioned typewriter keys. Sans-serif reversed capitals in circles, resembling typewriter keys. A bold condensed caps-only cross-stitch font, based on an embroidery pattern from the middle of the 20th century. 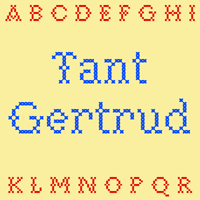 A cross-stitch font based on a classical pattern, including capital and lower-case letters. 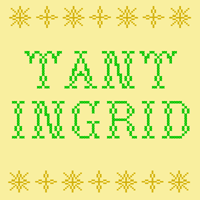 A thin caps-only cross-stitch font, based on a late 19th century embroidery pattern. A thin, very elegant caps-only cross-stitch font, based on an embroidery pattern from the end of the 19th century. An expanded caps-only cross-stitch font, based on a mid-20th century embroidery pattern. 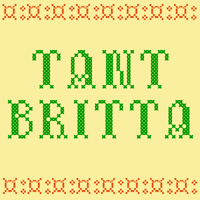 This font is based on a cross-stitch alphabet in an old embroidery pattern book. This typeface looks like text typed with a Remington Portable Model #5, made in 1947, with Swedish keyboard. When you select bold style, the text becomes underlined. Fonts with custom character sets designed for various linguistic and educational purposes. Two font families for phonetic transcriptions. Dialekt Uni includes all IPA characters and all characters of the Swedish, Danish and Norwegian dialect alphabets. Dialekt Sve includes the most frequent characters of the Swedish dialect alphabet. A phonetic alphabet, used in English schools in the 1960s. 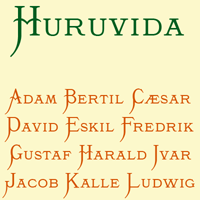 A Runic font designed for web publishing, containing all 81 Runic characters in the Unicode standard, and two fonts with secret runes. The font “Morsealfabetet” contains all characters of the Morse Code. Fonts showing the decimal or hexadecimal code for each character. © 2002–2014 Lars Törnqvist. Updated 2014-01-01.